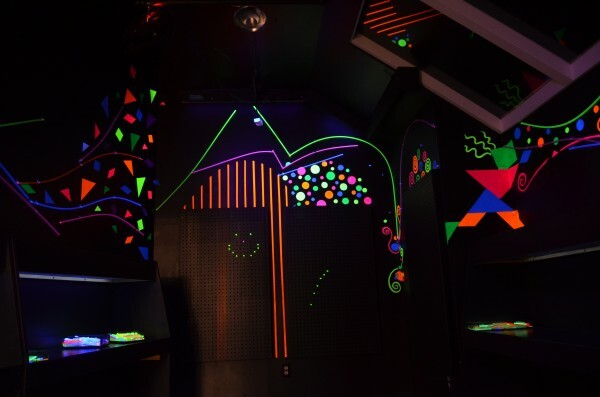 Colorful pegs and funky shapes serve as your tools to create your own story on tables or walls in the Glow Zone black light room. The stimulating yet calm environment engages children in a unique space for sensory activity, which is vital for cognitive development. 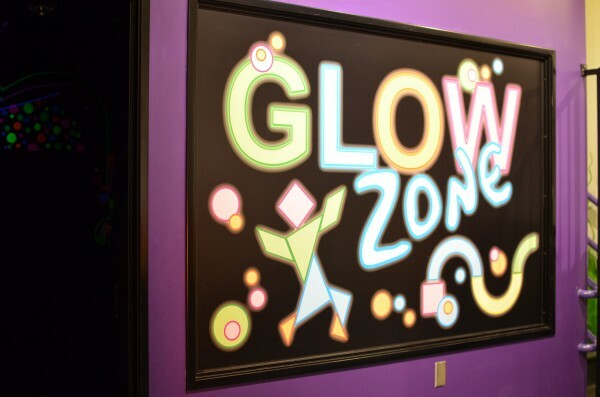 The Glow Zone is perfect for group or individual play. 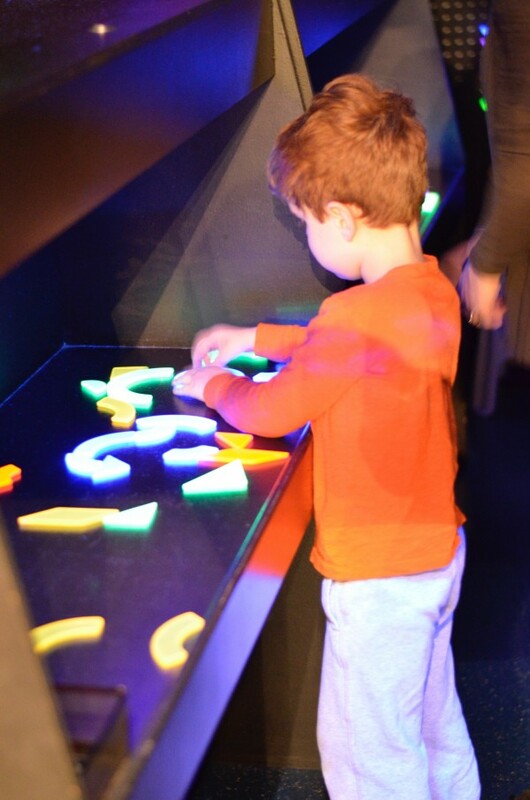 Power of Play: Conceptual thinking, fine motor skill development and hand/eye coordination are all part of a learning experience in the Glow Zone. Playful Tip: Black light rooms are calming because they encourage sensory play without the need for verbal communication. Allow children to work at their own pace as they thoughtfully create.